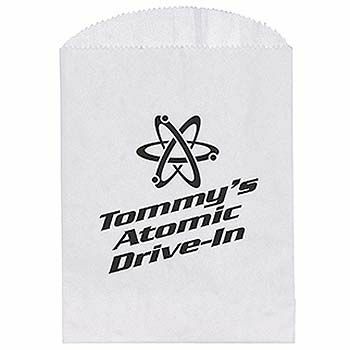 Our Imprinted Gourmet Bags are a great way for food stalls and street vendors to promote their business. If you own a small business or you have started a bakery business from home, you can deliver food in these bags. It is a convenient and quick way to pack food, give it to the customer, and take the next customer. Even though people throw away take-out bags in the trash, this will work in your favor, not against you. For instance, a guest at your patron’s house may notice the bag or someone on the street passing by a trashcan may see it. Without knowing, our consolidated bags are promoting your business. You do not have to put in much effort into advertising your business either because this is one the easiest and quickest way to get the word about your business out there. Get more attention today with our gourmet bags.